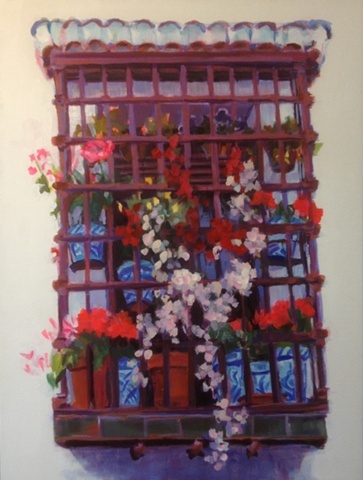 Spring is in full bloom in this well tended Albayzin, Gypsy Quarter, grated window box. This painting is one of a pair. The price for the pair is $1,500.00 (please contact me).